The user of AutoCAD may have bunch of questions and quarries to be solved. The video tips from Cadalyst and Lynn Allen provide immense help from the practiceners point of view. Do you recognize the greatest way to generate new layers? Can you use a crossing window in the Layer dialog box? What if you don’t want “U” to undo everything you did when you were in the Layer dialog box? The answer is ready here, learn and make it use. It is formerly known as Free BCF Plugin for Revit. 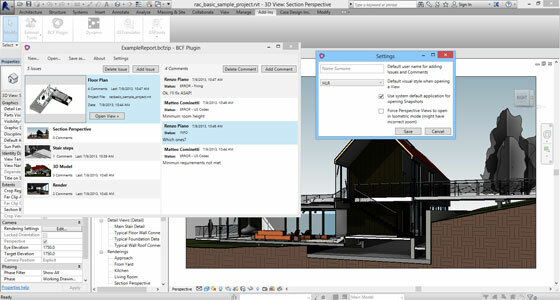 BCFier 1.0 supports Autodesk Revit 2014 and 2015 as well as windows platform (ability to open file devoid of Revit). This exclusive video presented by Raido Puust. Rafter Timber Framing Framing is a part of the plug-ins that allow to add the roofs of rafters. 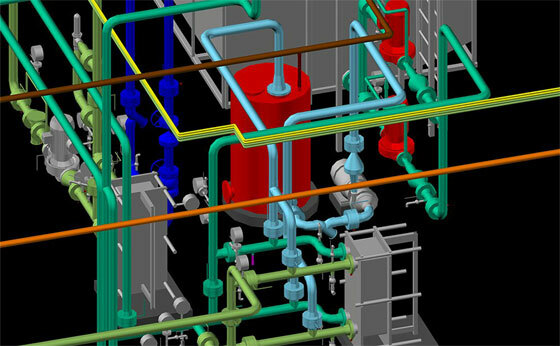 3D facility and equipment modeling play a crucial role in making superior design visualization and plant maintenance and development activities. 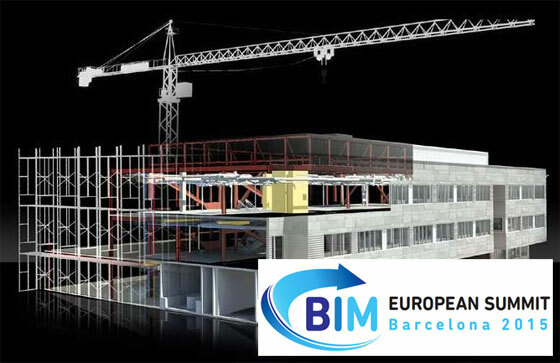 Given below a wide array of software & 3d modeling programs which can make a sea change in facility management system. Incorporated 3D scanners and software make 3d modeling system better. Faro Technologies launched Focus3D X 330 laser scanners which represent point cloud data of assets and facilities and simplify design, build, maintenance, retrofit, and expansion methods. The building owners can use scene and webShare software to process, circulate, and combine the 3D dataset information online, in actual time. By preserving 3d data of facilities, it is possible to reduce downtime and repair time. If there is a break down, one can know the exact position, type and length and get it prefabricated off-site to fit it in exact position. MPDS4 can easily deal with several data formats as well as large design through an advanced customization tool. Smart 3D is developed by Intergraph and it facilitates engineers hail from various localities and disciplines to cooperate with each other in near-real time. Numerous 3D formats are supported in a individual hybrid model, and the rules engine implements reliability, gurantees conformity to design standards as well as makes the recurring tasks automatic. Model Data Reuse facilitates objects to be copied and at the same time restoring relationships and the original design intent. With Smart 3D, the designs can be optimized designs by improving quality, interoperability, productivity, as well as making the project schedules reduced. With Bentley’s Integrated Plant Lifecycle (IPL) solution, the information can be distributed through various disciplines across all stages of the asset lifecycle. The set of design, analysis, simulation, and information management software provide huge benefits to the process plant engineering professionals and asset owners. The software supports the ISO 15926 open industry standard and at the same time provides top-notch change management functionality. The 3D infrastructure and structural data collection and models can be obtained through the 3D scanning and modeling of simple assets which can create a single environment for facilities management and reduce a major amount of inaccuracies as well as enhance safety, and saving time and money. Mohammed Sabeer, the well experienced trainer & consultant in Cad, has created the following useful cad tutorial through which he briefly explains with some easy steps the concept of LIMITS in Autocad. One can also gather knowledge on various drawing commands like LINE , CIRCLE , ARC , RECTANGLE etc as well as a wide array of editing commands like ERASE , TRIM , FILLET , MIRROR. The DRAWING LIMITS command is applied to arrange the size of the drawing space in AutoCAD while beginning a new drawing. It denotes the size of your area. It also helps you to identify drawing limits properly. To use the drawing limits command, just type limits in command section or one can choose drawing limits in the format menu. This webinar covers practical workflows for taking Revit models into 3ds Max and creating stunning visualisations. It was presented by Florian Neumayr, Technical Consultant at A2K Technologies.